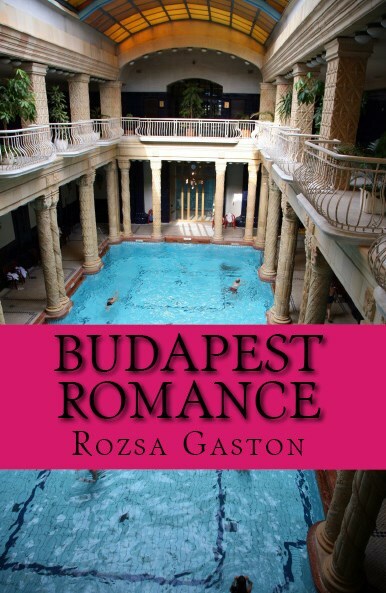 Passion duets with restraint in Budapest’s thermal bath spas in Budapest Romance..
Budapest Romance comes out November 17, 2014, darling readers. My latest book is a contemporary romance. Set in Budapest, it’s the story of an American woman meeting a Dutchman at a thermal bath spa hotel. Ready to help me decide on the cover? Let’s go to Budapest and soak in this mineralized pool at the Gellert Hotel Spa while we consider cover choices. When Kati Dunai travels to Budapest to settle her father’s estate, the last thing on her mind is the pursuit of pleasure. 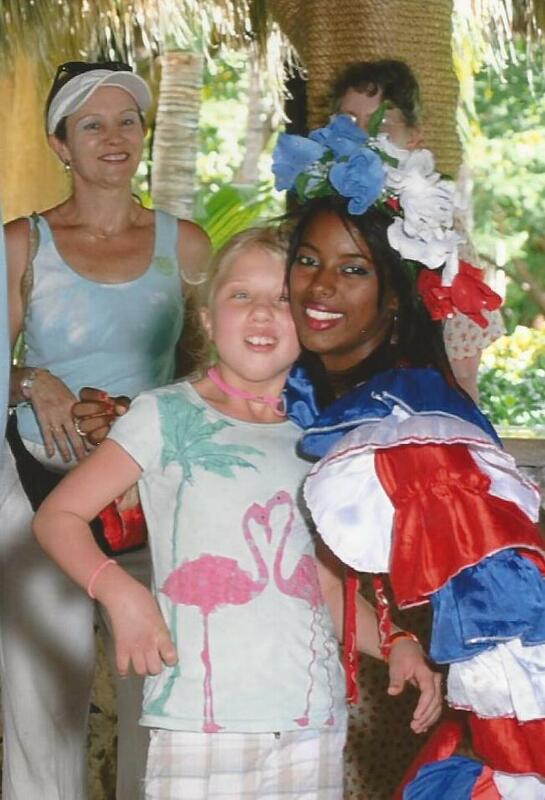 She’s a busy international conference planner, her life rooted in Manhattan. But from the moment she sets foot in the city of her father’s youth, it’s pleasure that pursues her. At the thermal bath spa hotel where she’s staying, she meets a Dutchman who reminds her of Béla Dunai, a Hungarian refugee who fled his homeland shortly after its 1956 revolution. Jan Klassen is in Budapest to mend from a motorcycle accident. His scars have healed on the outside, but inside, he cannot forgive himself for the consequences his son now lives with forever. Jan has never met a woman like Kati before. 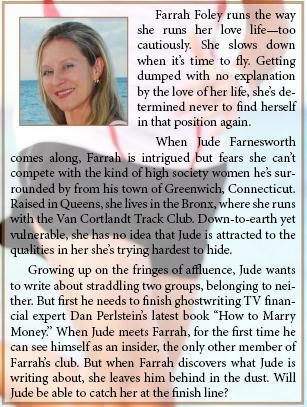 Her blend of New England restraint with gypsy spirit captivates him. While Jan introduces Kati to Budapest’s leisurely pace of life, Kati introduces Jan to her own leisurely pace of sensual exploration as their attraction to each other grows over six magical days. When Kati returns to New York, their relationship continues. But it’s not just an ocean that separates them. Kati’s corporate job with lots of travel is the antithesis of the slow-paced pleasures she enjoyed in her father’s favorite city, one of Europe’s crown jewels. Which will Kati put first—her new career or her new love; a man who reminds her of the father she never fully understood? And is it the Hungarian pleasure-loving side of herself that she really needs to understand before she can offer her heart to the man who has awakened her to who she truly is? 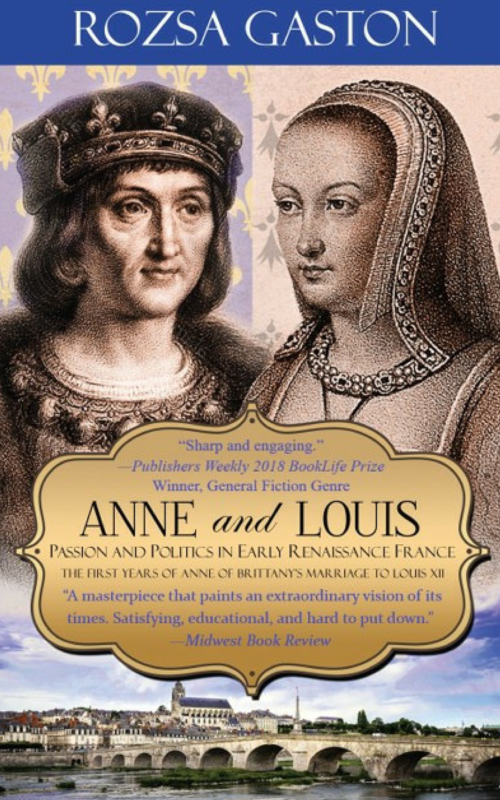 Now darlings, if you really want to enjoy a book that’s already out there, take a trip to Paris without the airfare with Paris Adieu. 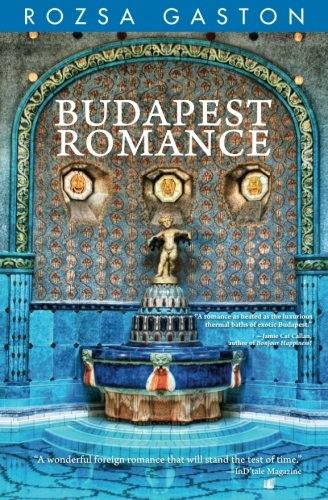 And if you want to be part of the final design and advance review team for Budapest Romance, send me your thoughts on cover design choice or request for advance review copy to rgaston@optonline.net. One last thing, darling reader—Don’t forget to do something fun today. Just for yourself. What are you running from? 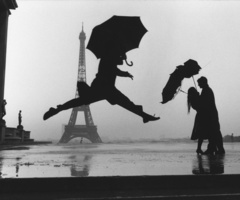 Are you running from love? Join George Bodarky on Cityscape Saturday, July 6, 7:30-8 am for a discussion of Running from Love: A Story for Runners and Lovers on WFUV’s Cityscape radio show at 90.7 FM and at wfuv.org. Link to 12 minute audio interview here. 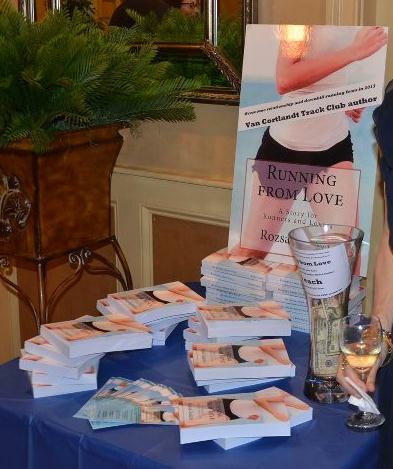 George Bodarky, host of Cityscape, interviewed author Rozsa Gaston about running with the Van Cortlandt Track Club, running in Van Cortlandt Park, Bronx, and topics touched upon in her book Running from Love such as overcoming downhill running and relationship fears. The discussion should be of interest to runners in general and specifically to runners on track clubs who have thought about or experienced dating a fellow member of their club. Tune in to 90.7 FM, WFUV Fordham University’s alternative music station and learn how to stop running from love. I’ll be listening myself. Hope I learn something and I hope you do too. P.S. Who’s Alexander McCall Smith? A simply amazing writer and the author of The No. 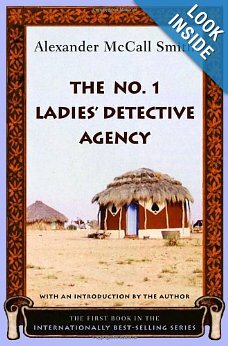 1 Ladies’ Detective Agency, a fictitious tale of a female detective set in Botswana. I love this book! You, Lord, are both prince and slave. Of the way you took and gave. You, whom we both scorn and crave. You, who are both gift and cost! Sit in power at God’s side. Have a love that reaches wide. You, who are our pilgrim guide. Worthy is our earthly Jesus! Worthy is our cosmic Christ! Worthy your defeat and victory. Worthy still your peace and strife. You, who are our death and life. Sylvia Dunstan (1955-1993) was early encouraged by her family in her love of music and song, and she began studying with Sister St. Gregory in St. Joseph’s Convent near her home. She began writing songs in her teens, finding inspiration in the Catholic liturgical music of the early 1970s in the style of Ray Repp and the Medical Mission Sisters. One of the Mission Sisters, Sister Miriam Therese Winter, helped her learn how to write Scripture-based folk songs. Michael Hawn quotes Dunstan about these songs, “Most of these songs are now under a well-deserved and merciful curtain of oblivion,” and Dunstan moved on to concentrate on composing hymn texts rather than music. 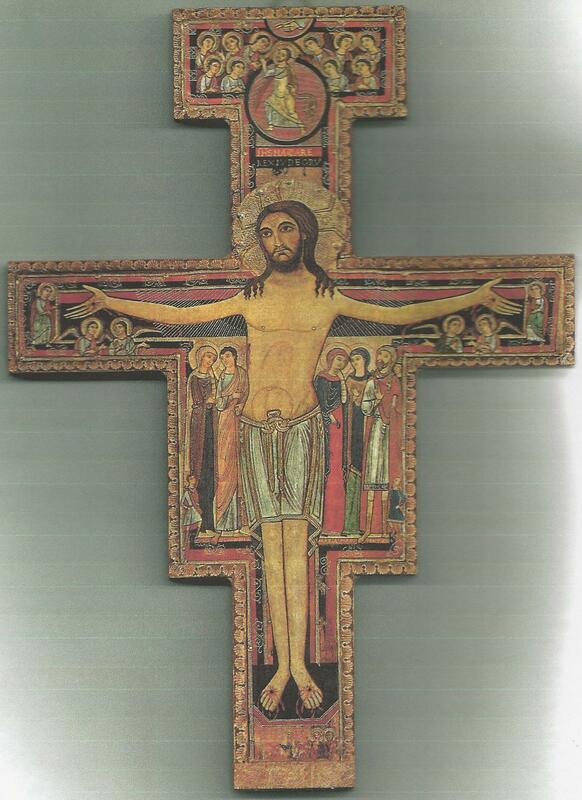 Dunstan earned a bachelor degree from York University and received graduate degrees in theology and divinity from Emmanuel College, Toronto. She was ordained by the United Church of Canada in 1980, served as a prison chaplain for ten years, as editor of the Canadian worship resource journal, Gathering, and went on to serve as minister at the Malvern Emmanuel United Church in Scarborough, Ontario. At the 1990 summer conference of The Hymn Society in the United States and Canada, she was invited to lead a session exploring her hymnody. The Hymn Society released a collection of thirty-seven of her hymns and three gospel songs titled In Search of Hope and Grace in 1990. A second collection of seventeen hymns, Where the Promise Shines, was published posthumously by GIA Publications in 1995. In March 1993 Sylvia Dunstan was diagnosed with liver cancer, and she died four months later on July 25 at the young age of thirty-eight. Her reputation continues to grow as one of the leading hymn writers of the twentieth century, and her work appears increasingly in published hymnals and choral works. Surf’s up – get playful. March’s debut heralds spring’s arrival. Throw off those February doldrums and get playful. You. What’s that? You spend all your time helping others so you can’t find time to play? Care giving at both ends of the generational spectrum? Tired of everything, starting with yourself? Stop boring me to tears. Get up from your desk, get outside, and get playful. That’s an order. Here’s a babe who knows how to do just that. Does this chick look like she’s sitting around compiling a grocery list for dinner? Don’t think so. Nancy Moon, who I think of as Moon Girl, is in the moment, following her bliss. What about you? By the way, Nancy Moon is not twenty-five years old or under. She just looks like she is because she feels like she is. Not all the time, but at the moment these images capture. Can’t afford to drop everything and take a trip to a surfing destination, never mind that you don’t know how to surf? That’s not an excuse. Get out there and get some sun on your face. Today. That’s right, go out and greet Mr. Golden Sun and feel the vitamin D pour into your soul, filling every cell of your body with vitality. It’s easy, really. The sun glows golden in the late afternoon right before it begins to descend. It’s a bit like the way the French refer to a woman of a certain age as “une femme mûre” or “a ripe woman.” The French highly admire attractive women in their golden late afternoon chapter. Many Americans do too. Connoissieurs of finely seasoned beauty can be found in many unexpected places. Find out more in Chapter Ten of Paris Adieu. Did you see that man on the corner giving you the eye as you sauntered past? What? You didn’t notice? Next time you take a walk, saunter. Find your inner French femme. When you start to do that, the connoissieurs of this world will take note. Promise. You may even want to meet some of them. You won’t, if you’re in a rush. Now back to your March marching orders. Go outside this afternoon and let the sun’s golden rays sink into your psyche. Later in the afternoon, coincident with that mid-afternoon energy slump, the sun’s rays are less bad for your skin than between the hours of 10 am and 3 pm. Have you got a packed day today? Don’t have a single second to yourself? Fuggedaboutit. Make it happen, darling. Take ten minutes and instead of hitting the vending machine, go downstairs, out the door, and say hello to the world that is your stage. Connect with nature. Open your ears to hear what that bird is singing about. He’s heralding spring’s arrival. A few weeks early, granted, but he’s out there noticing all the signs, just as you should be. 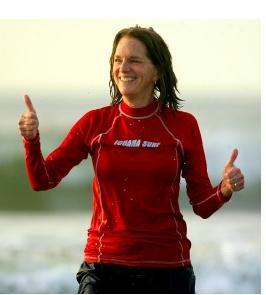 Thumbs up to life, friends. If yours isn’t as glamorous as Moon Girl’s, remember — these shots capture just one golden afternoon. The rest of the time she’s running around like the rest of us, busy, attending to the needs of others, spilling her vitality right and left. But inside, she has bottomless energy to give. Because she knows she’s Moon Girl. Be a Moon Girl too. Follow your bliss. You owe it to yourself. Start today. Be extraordinary today. You owe it to yourself. 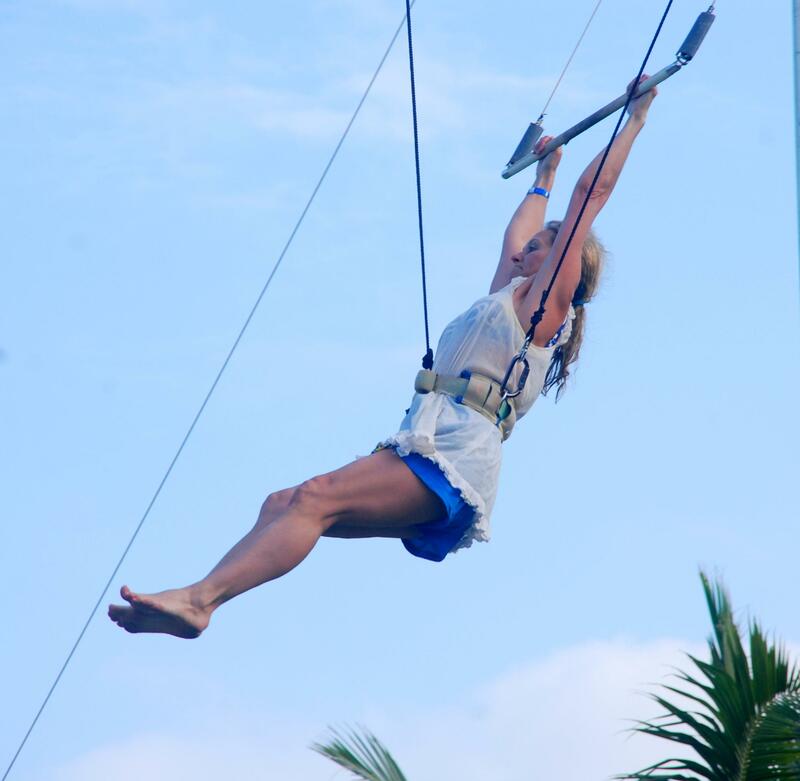 Attending trapeze school at Club Med Punta Cana in the Dominican Republic last week gave me a chance to be extraordinary. Give yourself a chance to be extraordinary too. 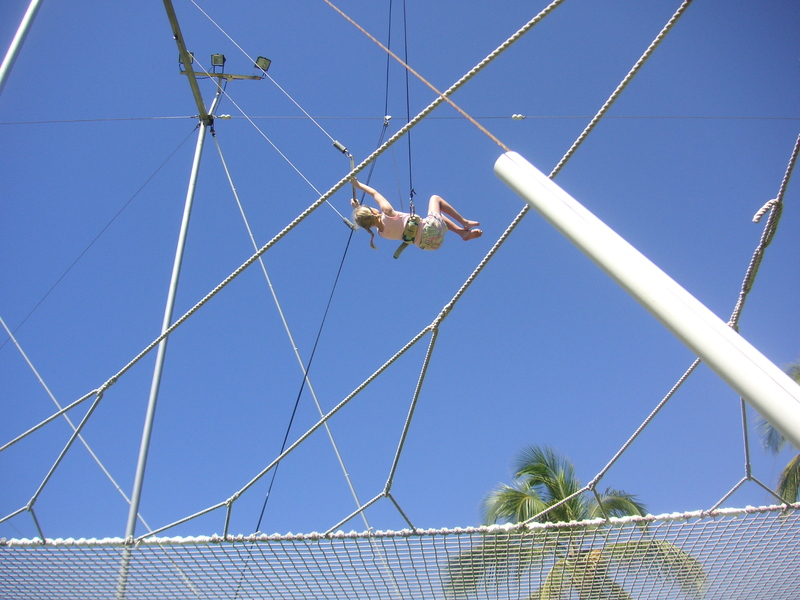 Join me here on the adventure of the trapeze then move in your own direction and find your own moment to be extraordinary. 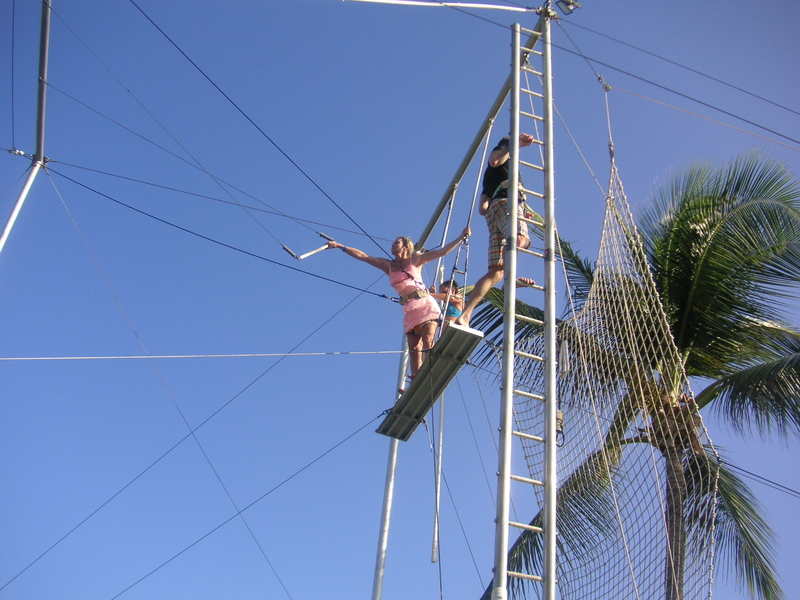 Let’s walk through the steps for our beginning trapeze experience. First, we climb the ladder. Up on the platform, we experience our first terrifying moment, especially as the platform sways in the wind. Immediately two cables are hooked onto either side of our tightly cinched safety belt. 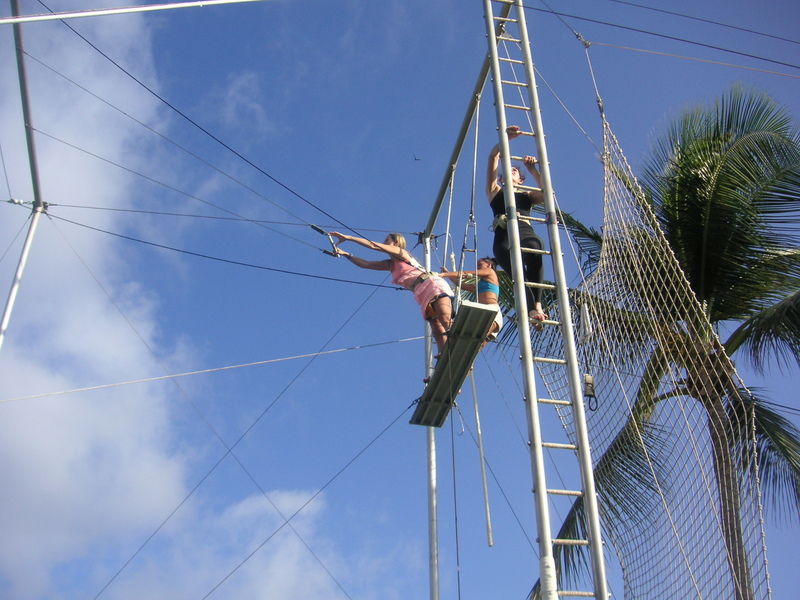 We have a brief second of relief followed by another moment of sheer terror when the instructors tell us to let go of the cable with our right arm, lean forward out into space and grab the trapeze. This horrifying moment is then magnified one hundredfold by the next command. 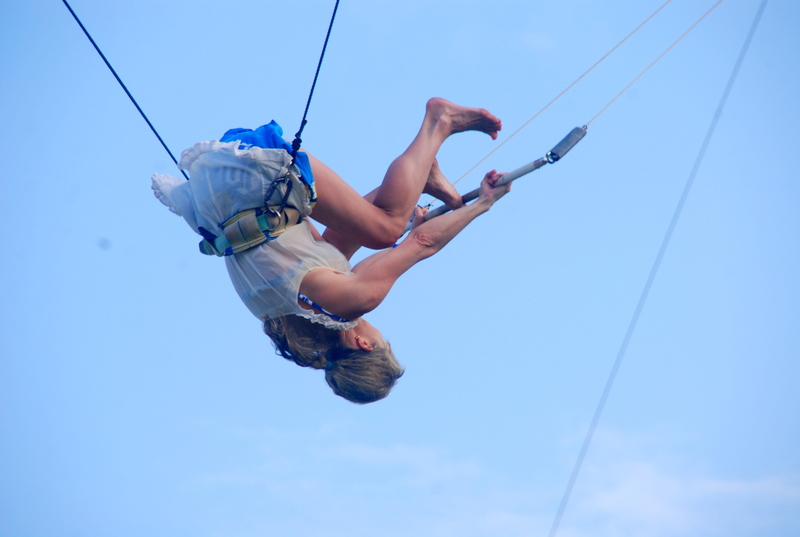 “Let go of the cable and grab the trapeze with your remaining arm.” Once you’ve accomplished this, you are committed. Ready? I wasn’t either. 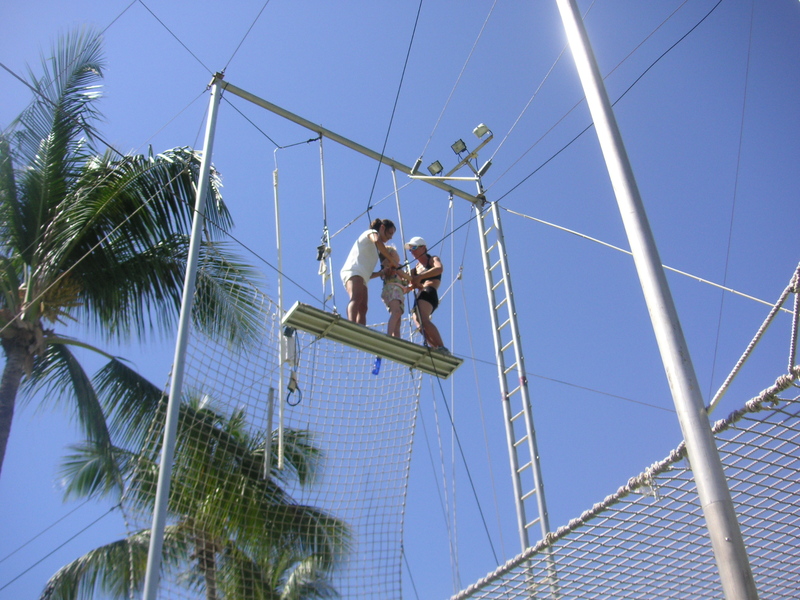 The instructors tell you to hop off the platform the moment they say “Hep!” What nerve! Of course I did no such thing, so you can imagine my shock when they then pushed me off the platform. HELP!!!! Here I look lame as I basically hang on for my life. The next task is the most difficult of the entire exercise. 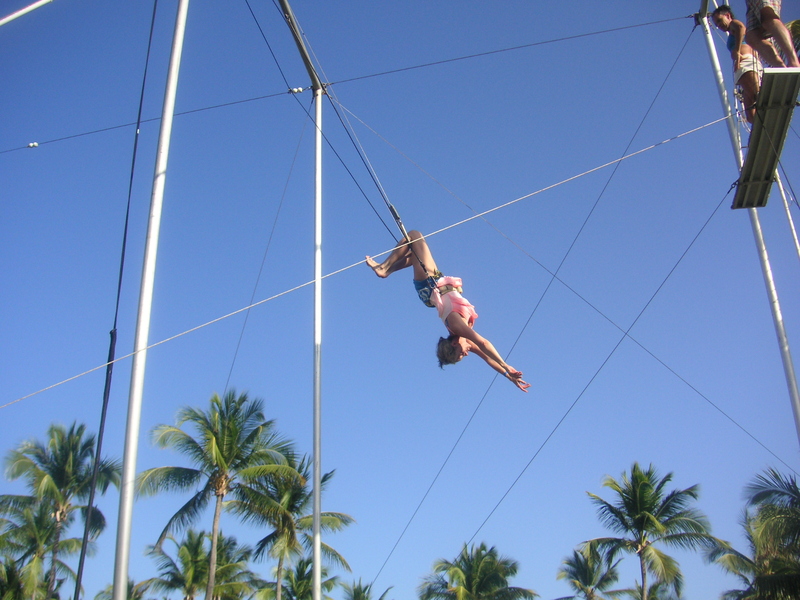 At the EXACT moment the instructors yell “tuck!” you tuck your knees up to your chest and try to get your toe under the trapeze bar. Once you’ve accomplished the toehold, you’re golden. After two rounds of severe humiliation, I managed the toehold on my third attempt. What a great feeling! Once the knees are hooked on, you think you have pretty much accomplished everything you need to do for the rest of your life. But just when you are feeling fabulous about yourself, the instructors yell “Hands off bar and swing!” What cheek. As if I hadn’t already done enough. 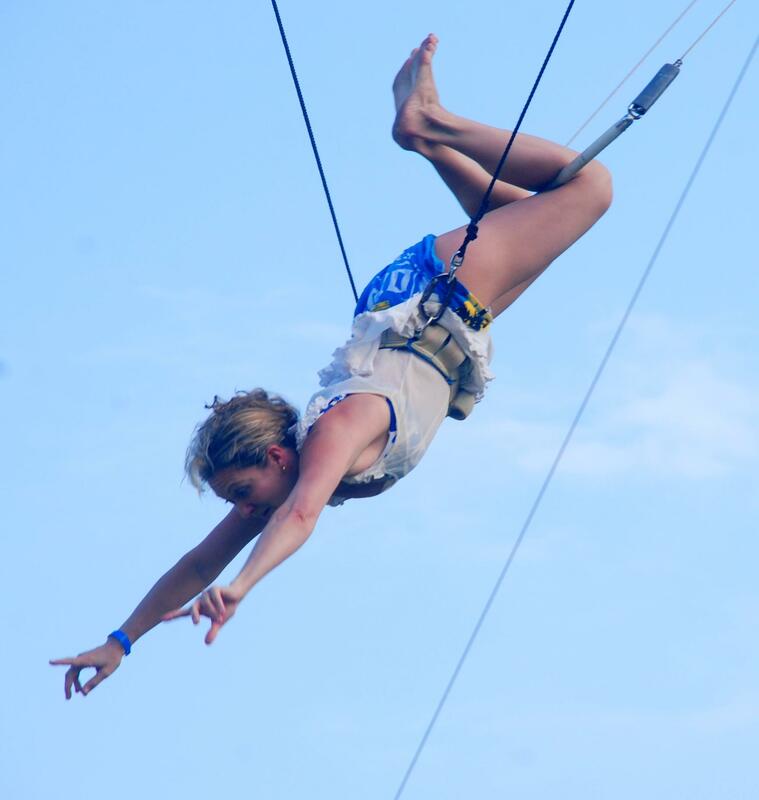 After the terrifying second when you let go of the trapeze with both arms and realize you are not dead, this is your moment to look even more fabulous than the less glamorous knee hook moment. Here I am pointing my fingers in order to make my accomplishment look even more technically sophisticated. This is truly the moment to take wing like a swan, so let’s review that very first image again as I soar backward and arch my back. Do you see how masterfully I’ve managed to point both index fingers? Sheer genius, no? The next incredible accomplishment is the back flip dismount. Yes. Really. 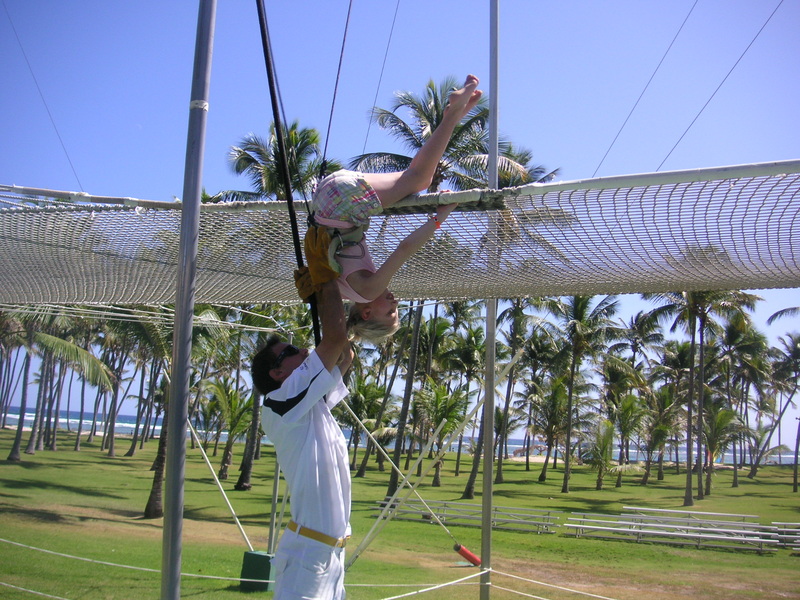 The instructors yell at you to kick your legs forward, backward, then forward with force and let go of the trapeze. Again, what cheek. 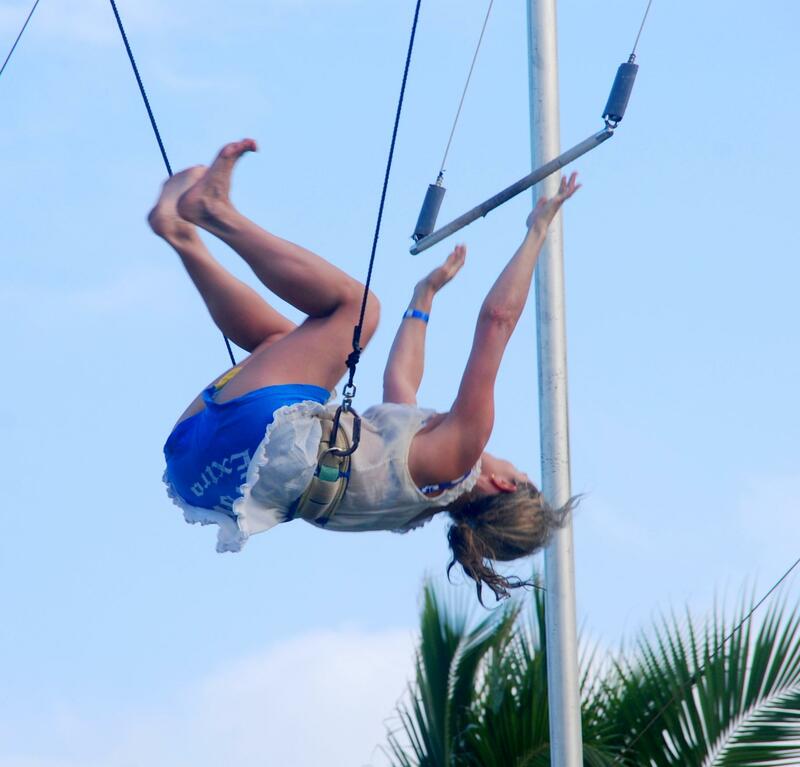 A formidable back flip ensues, thanks to the instructors pulling on your cables, and voila! 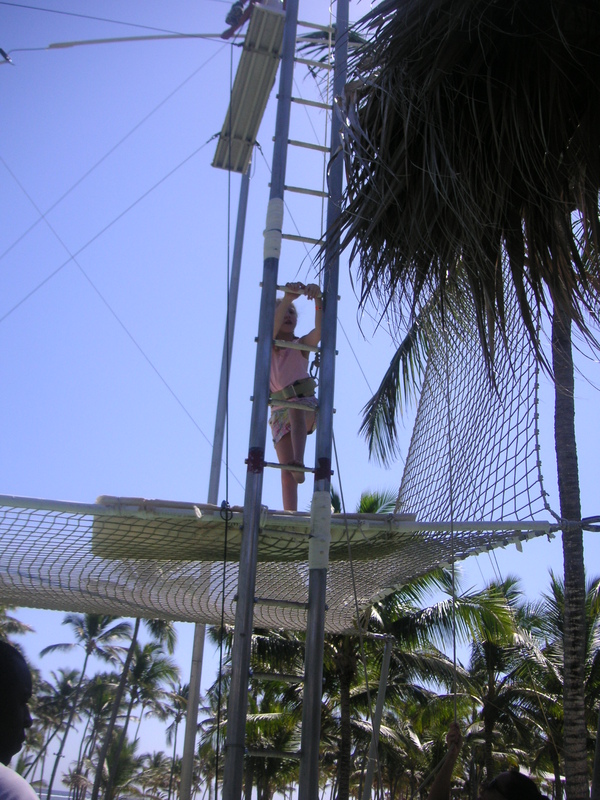 you end up on the safety net, hopefully in a respectable standing position. 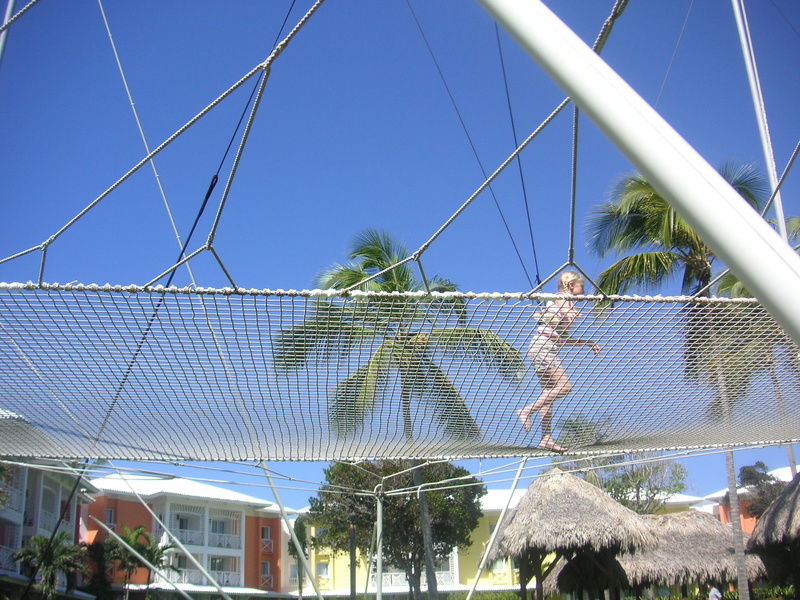 After you again realize you survived and are now on your feet, you dismount the safety net with a neat forward flip that looks fairly impressive. On solid ground again, your body literally shakes with pride of accomplishment. Or happiness to still be alive. Not only are you alive, but you are blissfully alive. Enjoy! Today my latest book, Running from Love, is downloadable FREE onto Kindle or any other e-reader device. Thurs. Dec. 27 and Fri. Dec. 28 only. Please take a minute to download, then take your time reading this story of romance between runners from rival track clubs. 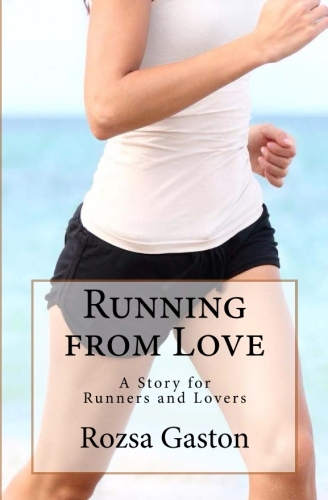 Running from Love is a story to help you overcome relationship and downhill running fears in 2013. I’m still working on both and hope you are too. My gift to you, dear readers. Happy new year! 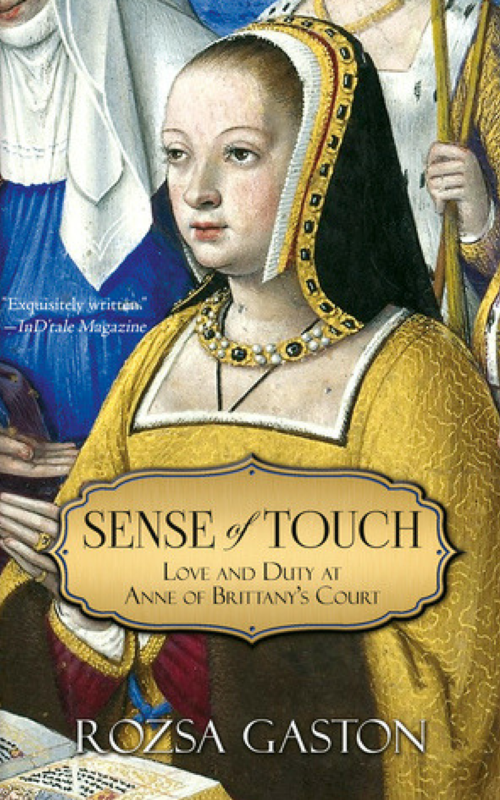 Author Rozsa Gaston discusses her coming of age novel Paris Adieu in comfortable surroundings. Join her in a three-minute discussion of how Ava learns to be comfortable in her own skin. 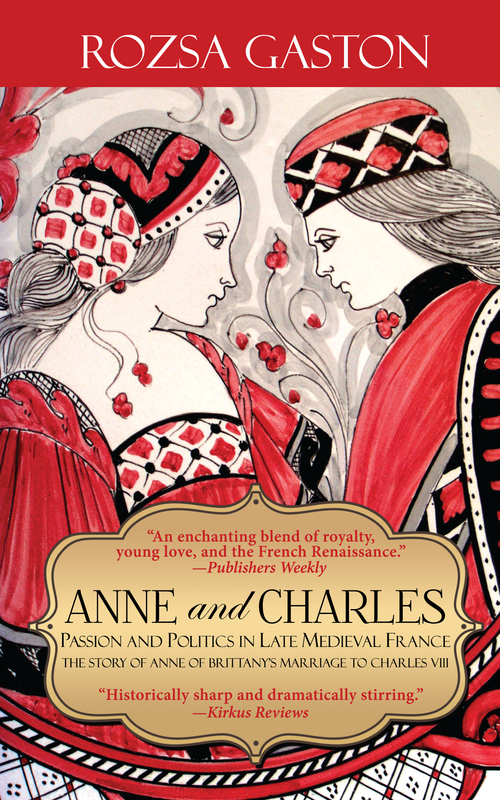 FREE giveaway of Paris Adieu Kindle Edition begins tomorrow, Thurs. Nov. 29 and ends Fri. Nov. 30 at midnight. Download Paris Adieu for free and tell your friends to download too. You don’t have to have a Kindle to download Kindle Edition. Download the Kindle App on your iPad or home computer and start reading about Ava’s journey to self-discovery. Paris Adieu at http://amzn.to/MLX194.